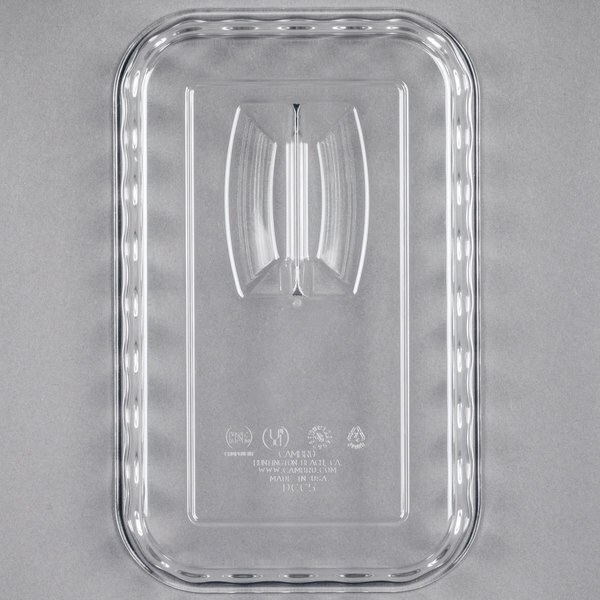 Show off the quality of products at your supermarket, deli, sandwich shop, buffet, or catered event while keeping them fresh with this Cambro DCC5135 clear lid for Cambro 2.2 qt. deli crocks. 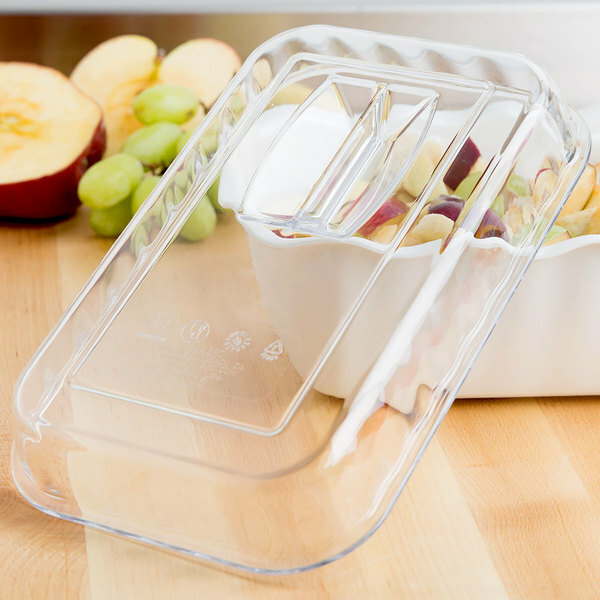 Made of virtually unbreakable polycarbonate, this lid is resistant to stains, impact, and chips for long lasting use. 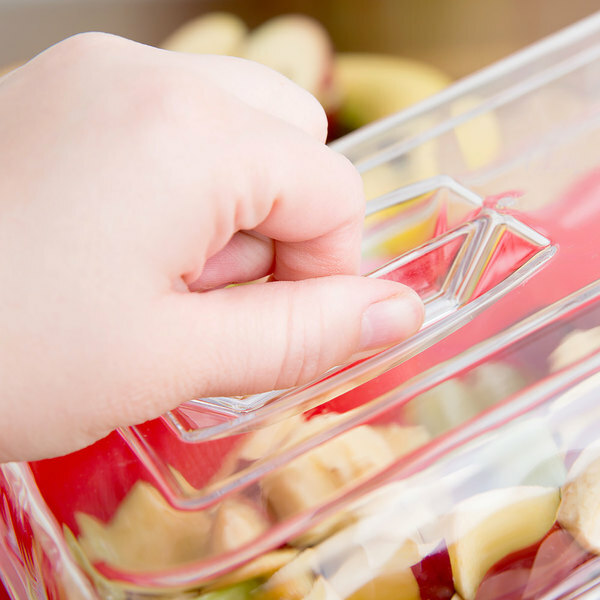 The clear design provides excellent visibility so your staff can see what product is in each container while your food is being stored! 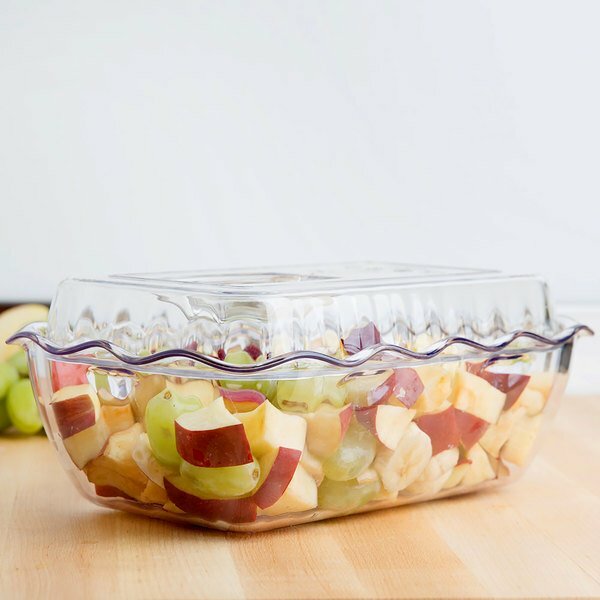 Once this lid is secured on your deli crock, you can stack them together for compact food storage in your freezer, refrigerator, or dry storage area. 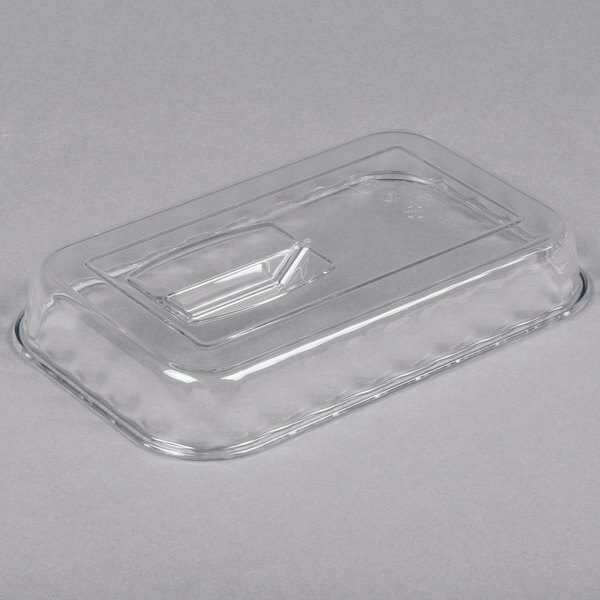 This lid can be used in a variety of ways for extra versatility in your busy restaurant or buffet. 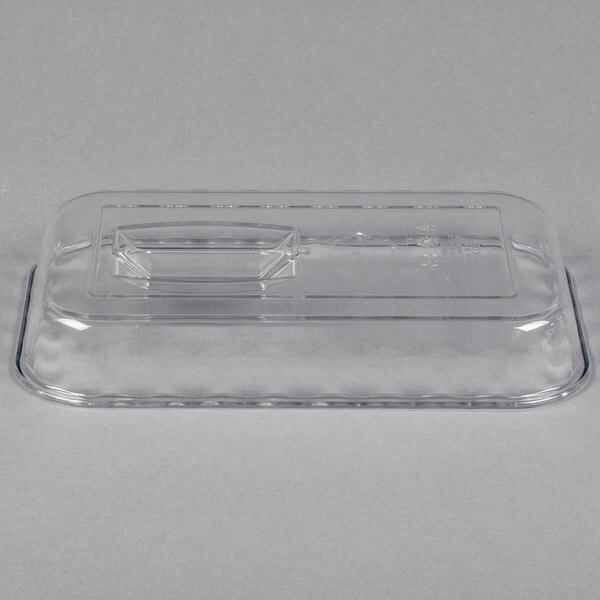 Use this lid as a riser by stacking the container (sold separately) on top of the lid to raise it on your buffets or tabletops, thus adding more dimension to your display. 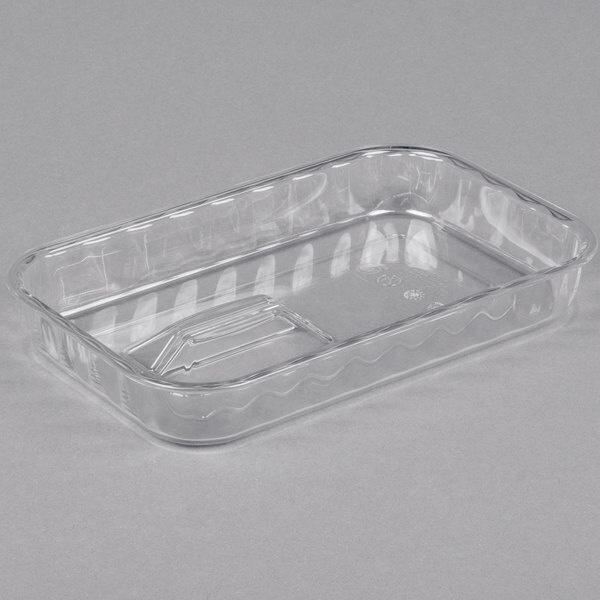 You can also use it as a false bottom in your deli crocks, so you can use this lid with a compatible crock at even small parties or events! Really happy with this product. We use in deli case to serve and sell all our different types of salads. 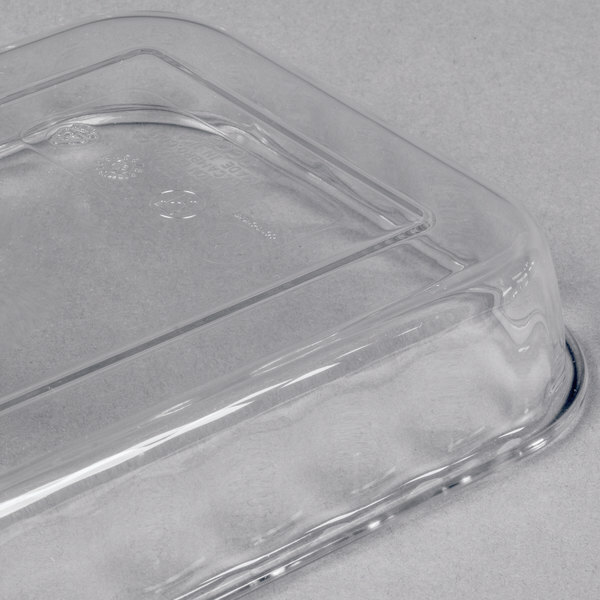 Lids are great, versus using plastic wrap and are crystal clear so customers can see inside perfectly. Since we are in Florida though, the air is so hot that as soon as we take them out of the deli case, the lidsimmediately fog up. When wiped, they are back to normal!